The Ikea brand has been sold for 75 billion kronor ($11.2 billion) to one of the Swedish furniture giant’s daughter companies, with experts saying that the price tag is “reasonable”. The brand was sold by the Kamprad controlled Interogo, based in the tax haven of Liechtenstein, to daughter company Ikea Systems in the Netherlands. And 75 billion kronor is not an unreasonable sum, according to one expert. “If you buy Ikea’s brand you are simultaneously buying all the customer relations and good will that the company has worked for. That’s what you pay for – not the logo,” explains Bengt Håkansson of Brand Clinic to the TT news agency. There can be two companies within one branch that are roughly the same size with the same market, yet one will have a large amount of customers where the other is struggling to stay alive. “One is bought and the other sold. Ikea is a brand that is bought to a very high degree. It combines low prices with cultural values. People like Ikea no matter what,” Håkansson said. 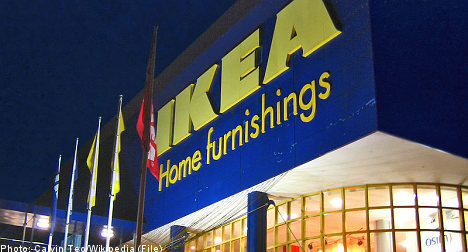 The Ikea brand ranks 89th among the world’s 100 most valuable brands, but is not the highest ranking Swedish company. Clothes retailer H&M is ranked 58th – a brand worth an estimated 125 billion kronor.